Do you have a recently completed new home in need of some grass to improve its kerb appeal? Or perhaps your current lawn is patchy or bare and in need of some TLC? Jungle Gardens can supply and apply high quality turf to transform your home into the lush sanctuary of your dreams. We wholeheartedly believe that good preparation and the correct methods are crucial for optimum results when laying a new lawn. Our well trained staff are fully aware of the best turfing practices and will not cut any corners when it comes to laying your new lawn. Jungle Gardens can also supply and install artificial grass to give you a beautiful, green and worry-free lawn for years to come. To ensure your new lawn is healthy and lush at the end of the turfing process there are some very important procedures to follow. 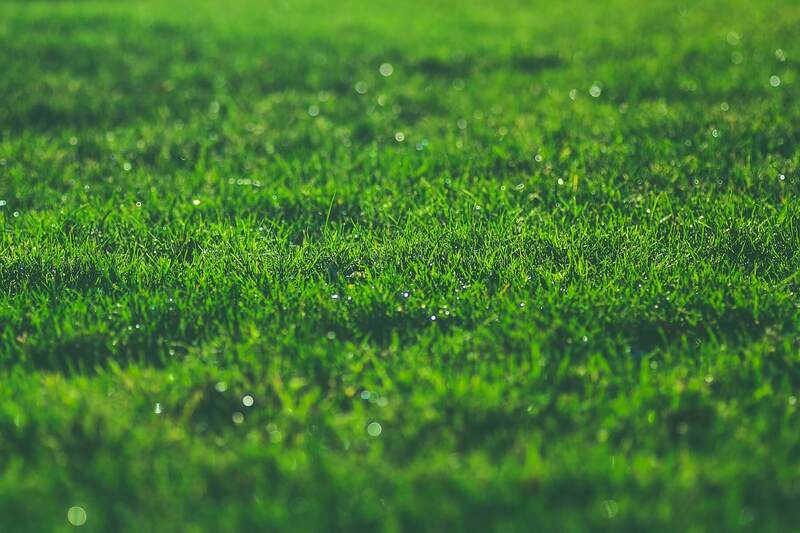 Our skilled team know these steps like the back of their hand, and once complete, your lawn will have increased density, a lush green look, require less watering and fertilising, and have reduced maintenance needs. For optimum growth, lawn turf needs just four things (in the correct balance) to grow: sunlight, air, water and nutrients. Reduce any of these, or provide too much of any one, and the grass may die or deteriorate. We know how to provide these in the right proportions so that the turf will flourish, providing not only a beautiful luscious landscape, but also a clean and safe place to play and a great deal of benefits to the environment. Jungle Gardens also offers a regular lawn mowing service, so we can take care of your lawn from start to finish, all year round! Can we improve the soils? Yes, practically without exception, not only can most soils be improved, they usually need to be improved to achieve the best results with only a minimum of other on-going maintenance. The knowledge of what products are necessary, the amount and availability of turf needed and the immediate costs and amount of time required are the factors that typically deter people from taking the necessary steps to improving the soil. There are some people who do not understand the importance of good soils for grass, and there are also many who believe that they can save both time and money by simply ignoring the need to improve their lawns soil. The fact is that if you fail to invest time into improving the soil before you turf, you are guaranteeing a far greater and more frequent investment of time and money into your lawn. We at Jungle Gardens know that good soil preparation is the first step in guaranteeing the ultimate beauty and success of your new lawn. So give us a call today to book your turfing appointment! First we must kill any existing grass or weeds with Glyphosate. Spraying once will kill most, but we will follow up with another spray later, to make sure virtually everything is dead. If you have good soil, we simply use a rotary hoe to loosen the soil bed to at least 100mm, and a maximum of 200mm. After rotary hoeing, we rake out any dead foliage if necessary and level the ground. If the soil is of a clay type, a sandy type or relatively poor in other ways, we use some organic soil conditioner. If the soil is clay, Gypsum is used as well. We use a turf underlay or turf base, which is a particular blend of topsoil and organic materials. By adding the turf base we’re giving your new lawn the optimum balance of nutrients and minerals it needs for the roots to establish well. We then spread the underlay evenly to the correct depth making sure the finish is smooth ready to lay the new lawn. Our qualified team take each of these steps into consideration when laying your new lawn because our goal is to provide you with the best results and the nicest-looking lawn. The most popular choices of quality turf Jungle Gardens can lay for you are Sir Walter Soft Leaf Buffalo, Sapphire Buffalo, and Kikuyu. No matter which option you choose, each will be given the full turfing treatment when applied to your lawn. First we must kill any existing grass or weeds with Glyphosate. Spraying once will kill most, but we will follow up with another spray later, this will make sure virtually everything is dead. A turf underlay or turf base is a particular blend of topsoil and organic materials.We add the turf base to give your new lawn the optimum balance of nutrients and minerals it needs for the roots to establish well. We then spread the underlay evenly to the correct depth making sure the finish is smooth ready to lay the new lawn. Our turfing services take each of these steps into consideration when laying your new lawn. We make sure that you will have the best results and the nicest-looking lawn. The most popular choices of quality turf Jungle Gardens can lay for you are Sir Walter Soft Leaf Buffalo, Saphire Buffalo, and Kikuyu. Each option will be given the full turfing treatment when applied to your lawn.